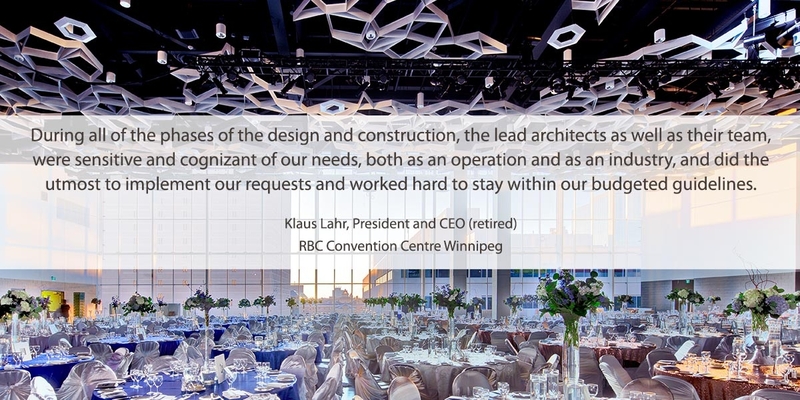 The project team of Number TEN, Stuart Olson Dominion, LM Architectural Group, and LMN Architects have re-invented the RBC Winnipeg Convention Centre with a spectacular 340,000 sq. ft. addition. 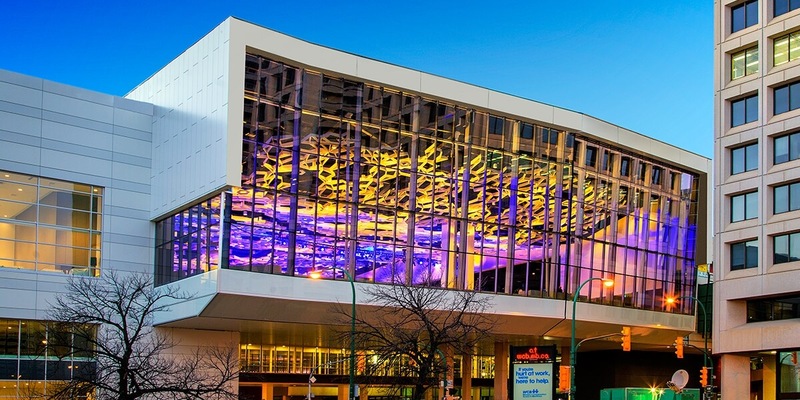 The certified LEED® Silver project is generating a wealth of new conference and entertainment opportunities, while serving as a cornerstone of the current renaissance occurring in downtown Winnipeg. 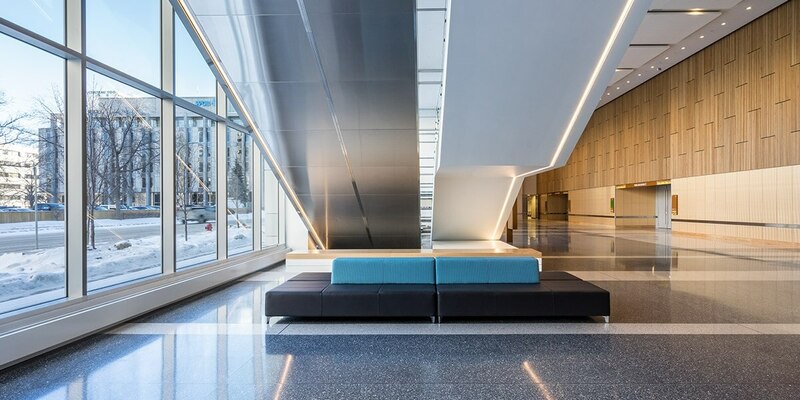 A striking combination of glass and elegantly crafted solid surfaces creates a dynamic interior environment that visually integrates with the surrounding district. 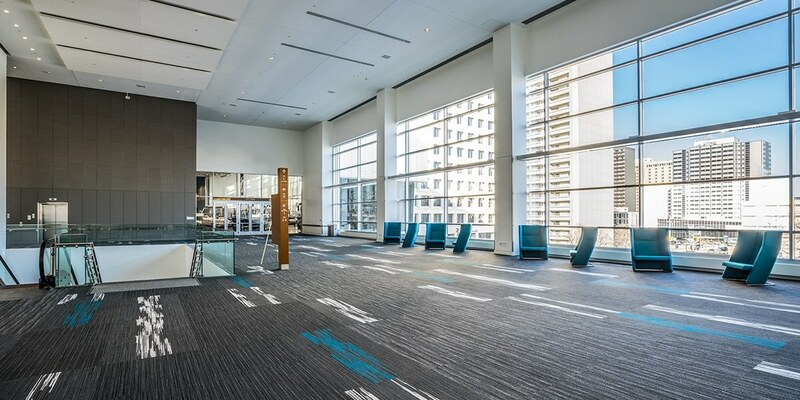 A large glazed connection bridging York Avenue houses the City Room - the building’s focal point and signature space offering dramatic views of downtown. The addition of a flexible, 30,000 sq. 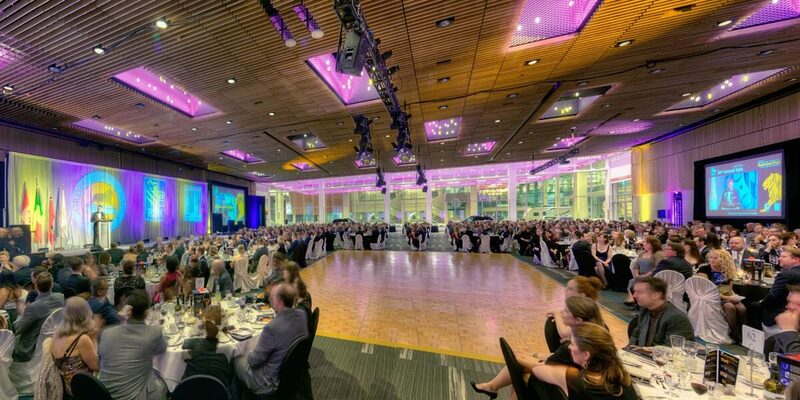 ft. ballroom makes the convention centre competitive with other tier two convention centre facilities throughout North America. 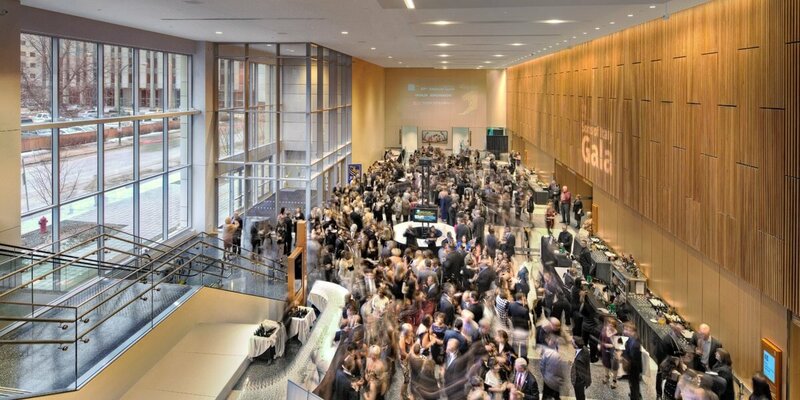 Number TEN Architectural Group, in consortium with LM Architectural Group, led the design and implementation of the existing convention centre in 1970. 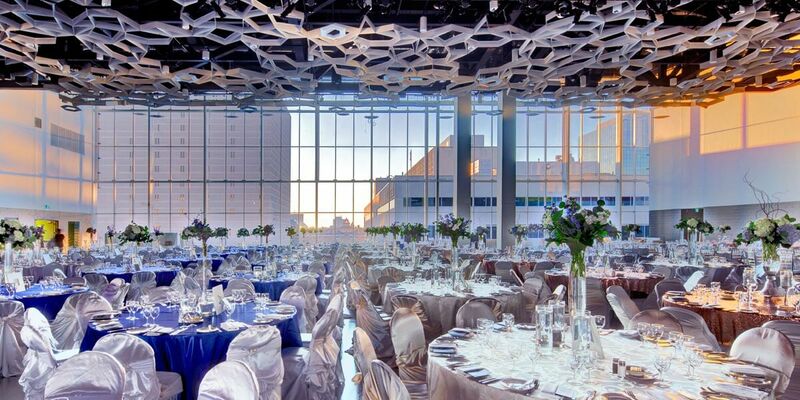 The redevelopment project earned a Commerce Design Winnipeg grand prize in 2016 in recognition of its high quality design features. Size: Renovation - 550,000 sq. ft. | Addition - 340,000 sq. ft.